OSI Model (Open Systems Interconnection Model) is simply a reference tool, a standardised Reference Framework for conceptualising data communications between networks. OSI was the first conceptual model that characterized and standardized the communication functions of a Network system without regard to its underlying internal structure and technology. OSI is a Vendor Neutral Model. Before OSI Model, each vendor used to use its own network model to manufacture Network equipment. So, one vendor’s equipment & network was not compatible with another vendor’s equipment. Buyers were bound to buy only from one vendor. For example, if you were buying IBM Computers then you were now bound to buy all Network Equipment from IBM as well in the future. Because IBM Computers couldn’t be connected by other vendor Switches or Routers. You must buy IBM Switches to connect them. They will not work with HP Server or Cisco Switches. To resolve this problem, the idea of a standardised Network Model emerged. 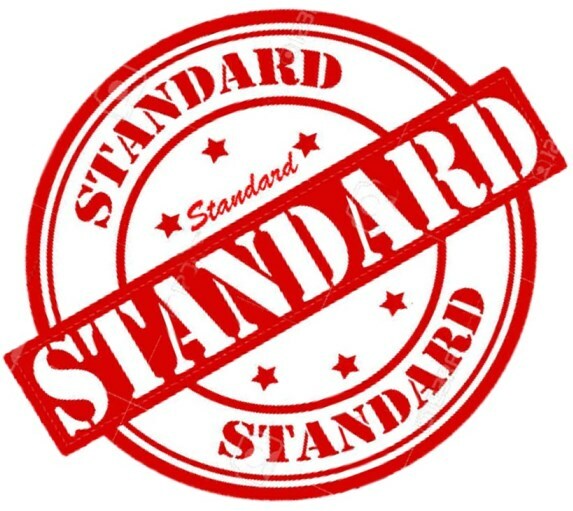 International Organization for Standardization (ISO) started working on it, different network models were proposed and finally the OSI Model was chosen & released in 1984 by ISO. OSI provided brought in the flexibility along with standardization. In simple words, OSI reference model describes how information from a software application in one computer moves through a network medium to a software application in another computer. *An important point worth of mentioning here is that: Although OSI is the standard today but we never find it on real equipment. 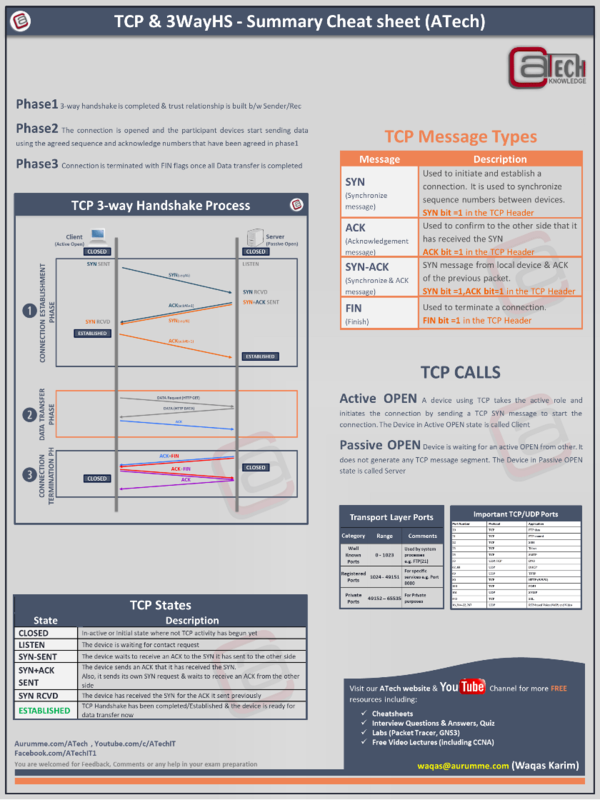 The model in action today is TCP/IP. OSI is used only for standardization & reference purposes. Physical Layer standardises the Physical medium. For example, signal level, voltage, radio, cabling standards & so on…. It simply, standardises everything which you can touch & feel. Physical layer is responsible for ultimate transmission of digital data bits in the form of electrical, optical or radio signals from the Physical layer of the source or sending device over network communications media to the Physical layer of the receiving of destination device. Data Link Layer standardizes the Physical Addressing. It is responsible for Data Switching. Physical addressing includes MAC Address & Ethernet Frames. Network Layer deals with Logical Addressing. It is responsible for Data Routing. Transport Layer ensures the error free data transmission across networks. It mainly focuses on data delivery. Transport Layer mainly uses two protocols called TCP & UDP which we will discuss in detail in later sections. Session Layer is responsible for session control. In simple words, it manages on how to start, control, and end conversations between two hosts or computers. Presentation Layer is responsible for data organization & conversion so that it is readable by Application layer of all hosts/applications involved in the data communication. Application Layer is responsible for end-user processes or applications. It supplies network services to end-user applications. There are many types of Physical Network Topology, out of which, most common 7xtypes include Point-to-Point, Ring, Mesh, Star (Hub/Spoke), Bus, Tree and Hybrid. Let’s discuss each type one by one. Point-to-point topology is the simplest of all network topologies. The network simply consists of a direct link between two computers for a faster and more reliable connection. Using circuit-switching or packet-switching technologies, a point-to-point circuit can be set up dynamically and dropped when no longer needed. Switched point-to-point topologies are the basic model of conventional telephony. In Ring topology, the devices in the network are connected in a circle. Each device has two paths to send & receive data. If one link goes down, data could be sent from the other side. A ring topology is similar to a bus topology in a closed loop. In this type of topology, data travels around the ring in one direction. When one node sends data to another, the data passes through each intermediate node on the ring until it reaches its sink or destination. The intermediate nodes simply repeat the data to keep the signal strong. In a Star Topology every device is connected to a central device such as a switch. Star topology requires more cable as compared to other topologies but it mode robust as a failure in one cable will only disconnect the specific connected computer via that cable to the central device. Star Network Topology is easier to manage. It is easier to locate node and cable problems in it and it is well suited for expansion into high-speed networking. However, it contains single point of failure and requires more network cable. It is a topology in which network devices are connected in a tree manner. A tree network is also called star-bus network. Tree network topology is basically a combination of Star & Bus. It is a hybrid network topology in which star networks are interconnected via bus networks. Tree networks are hierarchical in nature and each node can have multiple no. of child nodes.